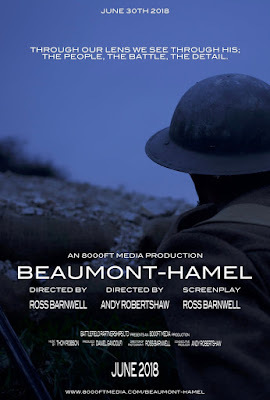 Crowd funded by World War I and film history fans alike, Beaumont-Hamel was released online on June 30, 2018. The film has a unique approach to the Great War. The Battle of the Somme is seen here through the lens of the official cinematographer, Geoffrey Malins, who on July 1, 1916, covered the bloodiest battle in British military history. Co-directed by a film maker (Ross Barnwell) and a World War I historian (Andy Robertshaw, co-author of Ghosts on the Somme), this short film places historical accuracy at the centrepiece of the drama. Highly recommended! Enfin, tous sauf The Walking Dead : Michonne.